I recently held a Making it Fine Art Workshop in Kansas City at the kind invitation and studio of Kirsten McGannon. This oil was done over three days as a class demonstration. I like to talk and paint and having an audience raises the bar. I want to truly demonstrate how to make good starts, and create an example describing a lot of the concepts discussed in the class. I've learned the same thing as I tell the class - relax and just make a series of good moves that will improve the painting. The first concept will get something on the canvas and as an artist, you get to move beyond the photo or scene in front of you. 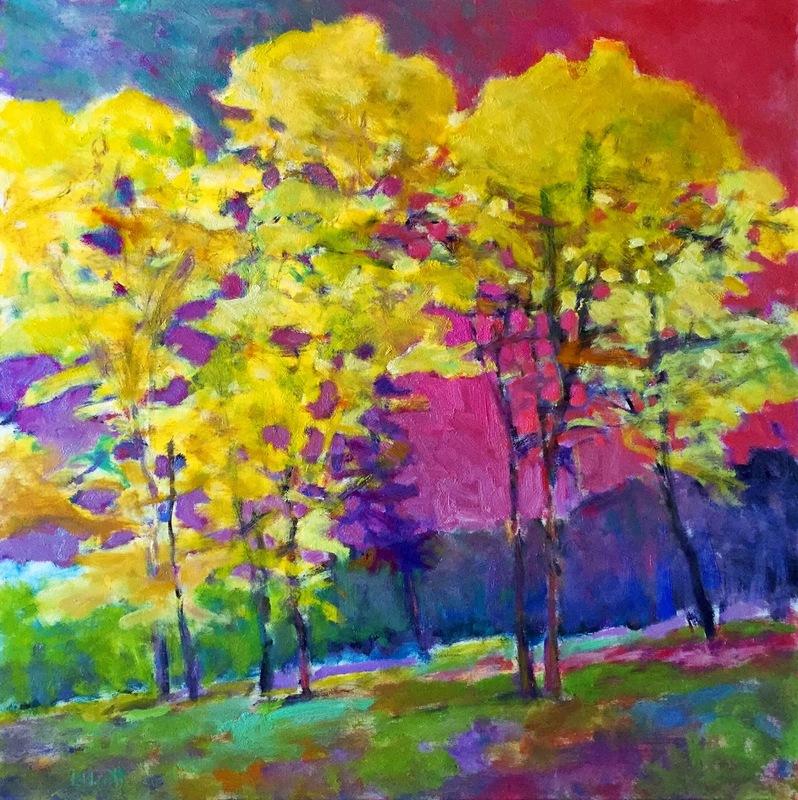 This oil is about those yellow trees and everything else in the painting supports all the yellow variations. Since I was working with limited time, I elected to keep the edges of everything less polished. The end result is a more vibrant and textural work or art that completely surpassed the source material. It gives me a bit of a thrill. I don't know about you, Ken, but I think this "demo" is astonishing. As you said, it registers on the thrillometer. Indeed. You found a really good channel here. Thank you Sam! That means a lot coming from you.